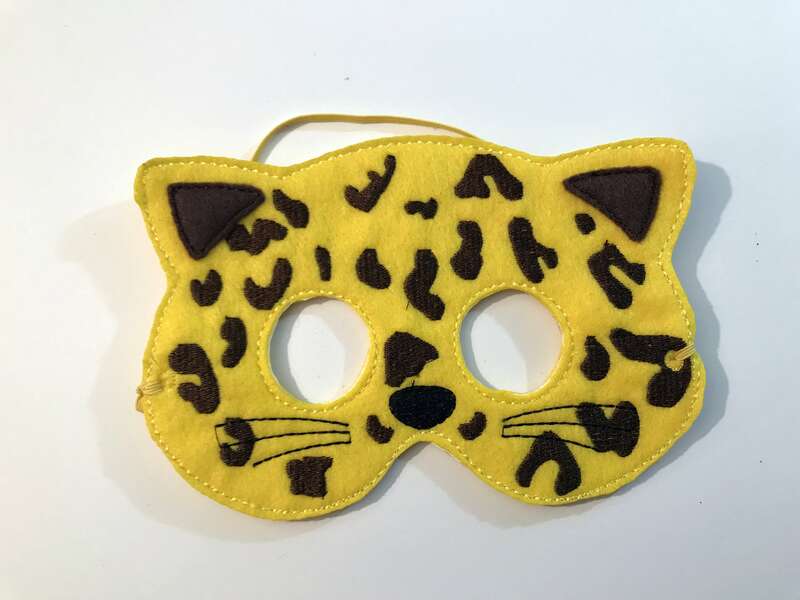 A kids felt cheetah mask that’s comfortable, soft, and great for any occasion! This cheetah face mask will have any child pouncing with excitement! Brown cheetah print, feline ears, a button nose, and whiskers make the perfect accessory for a day at the zoo, a costume party, Halloween parade, masquerade, safari themed birthday, or carnival. A unisex gift that’s great for boys and girls, making it the ideal stocking stuffer or photo shoot prop. Excellent for everyday activities like play dates, dress-up, pretend play, imaginative games, and other play time fun. The embroidered, handmade cheetah eye mask will complete any cheetah costume. Perfect for children’s theater too! Order in bulk for any occasion! The child sized mask has an elastic band around the back for easy on and off wear. Made with soft, eco friendly felt. Will fit toddlers to children about 10 years old. It is about 5 inches high and about 7 wide.